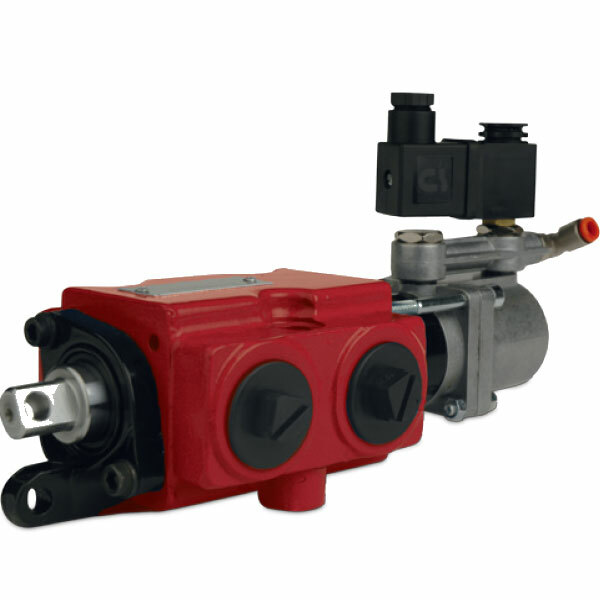 The RV 713 is a 3-way selector valve is for flows up to 160 l/min and max. operating pressures up to 250 bar. Spools, both 2 and 3 positions, are available in various types including spools with built-in check valves. The design of the standard spools has an underlap. Also, a wide range of spool controls, both for manual operation as well as for remote control, are available. Furthermore, the typical applications for RV 713 are tipping gears and demountable bodies. Also, the configuration with check valve spools is typically used as a limit switch on tipping gears.